We, ESP, also represents Faure Herman of Faure Herman from France, part of the Liquid Controls Group (LCG), a unit of IDEX Corporation from USA. Faure Herman has over 80 years of experience in liquid and gas flow measurement with various successful applications. 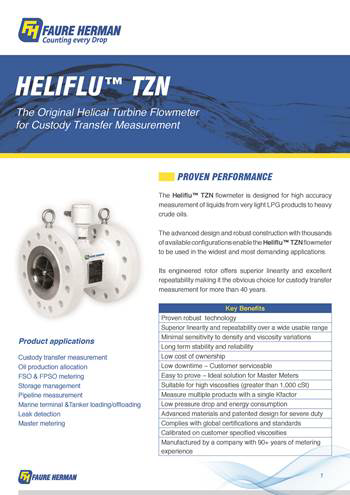 In Thailand, we are providing our clients with Custody Transfer Turbine Flowmeters.